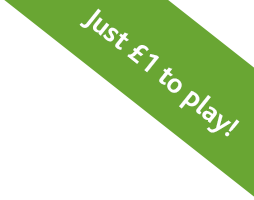 Sign up for the Hospice Lottery and get your own personal number(s) - yours for as long as you play. Your number is unique so you won't ever have to split your winnings with anybody. £1 per entry. You must be 16 or over to enter, or 18 or over to enter via the PPWH website. Underage gambling is an offence. Promoter: The Prince & Princess of Wales Hospice, 20 Dumbreck Road, Glasgow, G41 5BW.